The assassins of Mujib arrested the three senior ranking officers in Mujib's cabinet but installed as president the fourth in charge, a long-time colleague of Mujib and minister of commerce, Khondakar Mushtaque Ahmed. 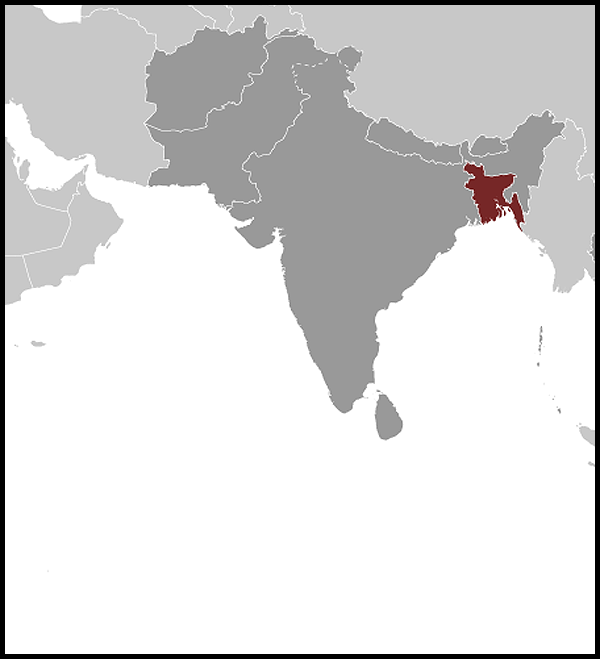 Mushtaque, a conservative member of the Awami League (the name to which the Bangladesh Krishak Sramik Awami League reverted after Mujib's death), was known to lean toward the West and to have been troubled by Mujib's close ties with India. Many observers believed him to have been a conspirator in Mujib's assassination. Even so, his role in the new regime was circumscribed by the majors, who even moved into the presidential palace with him. Mushtaque announced that parliamentary democracy would be restored by February 1977, and he lifted Mujib's ban on political parties. He instituted strong programs to reduce corrupt practices and to restore efficiency and public confidence in the government. He also ordered the transfer of all the equipment and assets and most of the personnel of the Jatiyo Rakkhi Bahini to the army and the eventual abolition of the Jatiyo Rakkhi Bahini. Mushtaque promised to dissolve the authoritarian powers that Mujib had invested in the office of the presidency, but the continuing unstable situation did not improve enough to permit a significant degree of liberalization. In order to keep Mujib supporters under control, Mushtaque declared himself chief martial law administrator and set up a number of tribunals that fell outside constitutional jurisdiction. Despite the economic and political instability during the last years of the Mujib regime, the memory of the Bangabandhu evoked strong emotions among his loyalists. Many of these, especially former freedom fighters now in the army, were deeply resentful of the majors. One of these Mujib loyalists, Brigadier Khaled Musharraf, launched a successful coup on November 3, 1975. Chief Justice Abu Sadat Mohammad Sayem, who had served Mujib in the Supreme Court, emerged as president. Musharraf had himself promoted to major general, thereby replacing Chief of Staff Zia. In a public display orchestrated to show his loyalty to the slain Mujib, Musharraf led a procession to Mujib's former residence. The reaction to Musharraf's obvious dedication to Mujibist ideology and the fear that he would renew the former leader's close ties with India precipitated the collapse of the new regime. 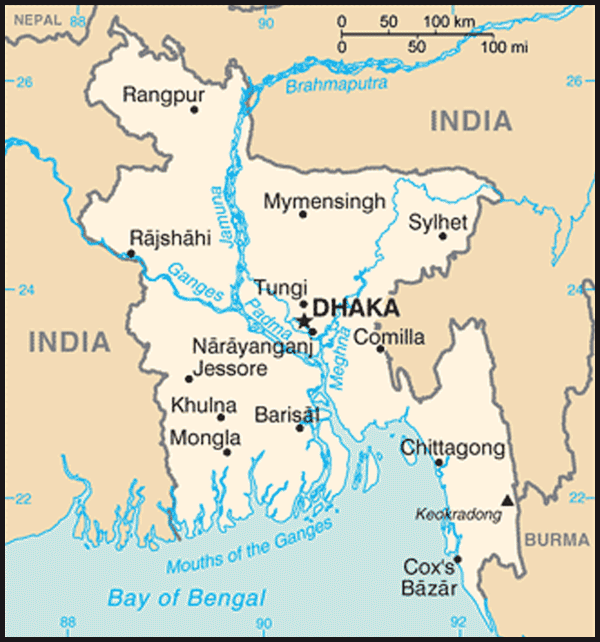 On November 7, agitators of the Jatiyo Samajtantrik Dal, a leftist but decidedly anti-Soviet and anti-Indian movement, managed to incite troops at the Dhaka cantonment against Musharraf, who was killed in a firefight. President Sayem became chief martial law administrator, and the military service chiefs, most significantly the army's Zia, became deputy chief martial law administrators. Zia also took on the portfolios of finance, home affairs, industry, and information, as well as becoming the army chief of staff. It was not long before Zia, with the backing of the military, supplanted the elderly and frail Sayem. Zia postponed the presidential elections and the parliamentary elections that Sayem had earlier promised and made himself chief marital law administrator in November 1976.